It always seems to be raining here in Portland, but just one look at me and I bring nothing but blue skies! 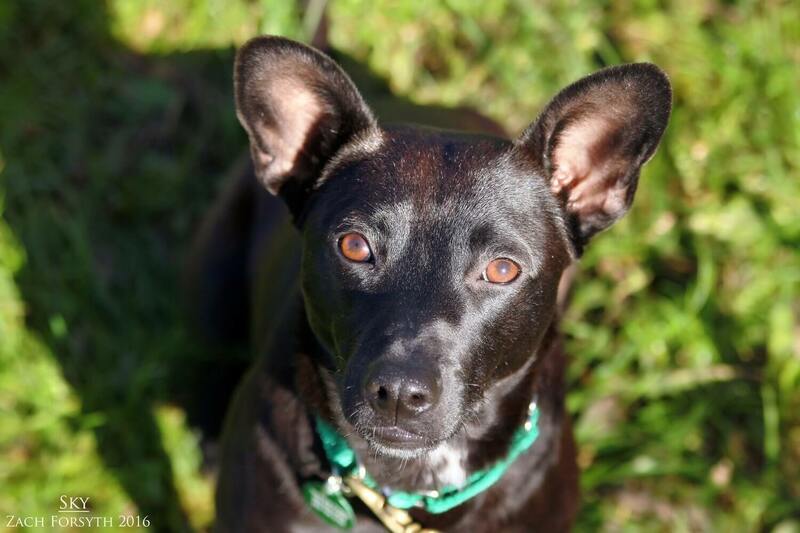 In fact, Sky is my name and I am an adorable 2 year old 27 pound Border Collie/Kelpie mix. I am a bit of a shy girl, but with with a few treats and a squeaker toy, I turn into a playing machine! I’ll even get so happy and excited that I get the “zoomies”! I will need to be in a home without kids, but I do great with other furry four-legged friends, such as cats and other dogs. After a good play session, I would love nothing more than to curl up in your lap and catch some zzz’s. If play time and cuddles sounds like your ideal day too, then fill out an application today and then we can schedule a meet! I come to you spayed, vaccinated, micro-chipped, and my adoption fee is $250.